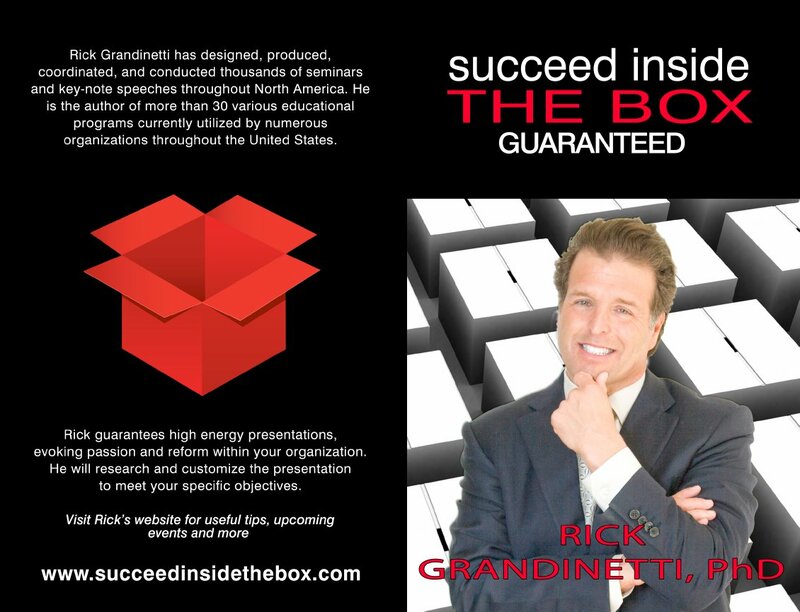 Succeed Inside The Box, Guaranteed is a series of stories on how to succeed inside the box and life lessons Rick Grandinetti has learned over the past 20 years. Rick Grandinetti has designed, produced, coordinated, and conducted thousands of seminars and key-note speeches throughout North America. He is the author of more than 30 various educational programs currently utilized by numerous organizations throughout the United States. Rick Guarantees high energy presentations, evoking passion and reform within your organization. He will research and customize the presentation to meet your specific needs.